Brand New Yamaha Genos including GNS-MS01 amplification systems. Call us for a great Part-Ex deal. 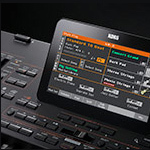 Powered by specially developed Yamaha technology, the sonic quality of every Voice in Genos is beyond any other Digital Workstation you&apos;ve ever played. Everything you hear, whether it be the beautiful CFX piano, the lush Kino Strings or the punchy Revo!Drums, it just blows you away! This technology simulates the characteristics of musical instruments. During a performance the technology sounds appropriate samples, in real time, according to what and how you play. Samples are smoothly joined and articulated-as would naturally occur on an actual acoustic instrument. Revo!Drum Voices totally change the live feel and dynamic of your backing styles. Painstakingly sampled drums bring incredible clarity to all the backing styles in the Genos keyboard. No technical knowledge is required - just choose a style and play, the sound is simply astonishing. With a flagship keyboard comes flagship sounds. Starting from the ground up, Yamaha have integrated the very best sounds of the very best quality they have ever produced. 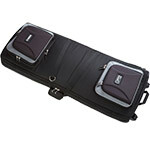 The piano sound alone offers up a higher spec 10 layer piano then the CVP range of instruments. Brand new sampled acoustic instruments including orchestras, guitars, saxophones and everything in-between have been included. Each of the articulation sounds now has an added articulation switch for even more natural control over your performance. 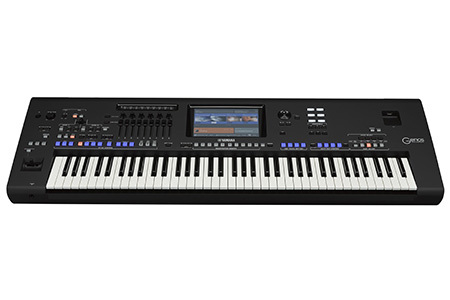 Sounds are distinctly better than any previous Tyros model and have a dynamic and responsiveness we have never seen from any Yamaha keyboard instrument. 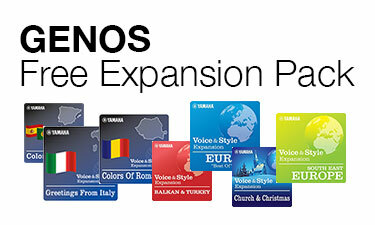 Every Genos owner has the chance to receive a free expansion pack from the Yamaha premium series. Choose from 1 of 7 available packs and expand your Genos even more. The packs offer a range of high quality sounds and styles in addition to the already amazing selection on the instrument. 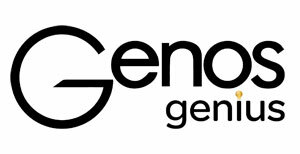 When you buy your Genos from A&C Hamilton, our Genos Genius team will be able to offer free installation of the expansion pack for you and any existing packs that you may have in your account. The offer requires registration of your instrument. 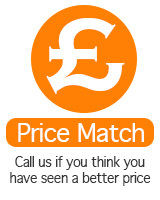 Please call and speak to our experts for more details. Keith and Justin will be ours, and your, in-store &apos;Genos Genius&apos;. They will be your port of call for product support, product knowledge and everything you need to know regarding Genos. Anyone who purchases a product from A&C Hamilton will receive our &apos;Genos Genius&apos; support totally free and is your ultimate way to ensure you get the best from this incredible new machine. Using the same VCM technology as Yamaha's professional high-end mixing consoles, Genos has the tools to create the perfect sound. Not only do the effects sound great, they look great too-with a stunning graphical user interface. Yes (*) , Standards: IEEE802.11b/g/n (IEEE802.11n 5GHz: not compatible) *May not be included, depending on your area. Check with A&C Hamilton Musical Instruments. Although happily there are 100's of customers who have already pre-ordered the Genos, I get the sense that there are a lot of existing Tyros owners who, having seen the various videos and specifications online, have maybe been left wondering "Is the Genos for me?". More importantly is it worth a minimum of over 2k to change from a previous Tyros? So I approach the Genos with healthy scepticism in mind, its easy for staff to wax lyrical about how marvellous the Genos is, and it is, but its not them that have to put their hands in their pockets! I'm therefore approaching this from the angle of putting myself in the position of the average customer whose an average player who just enjoys playing a Tyros, are they going to be impressed enough to hand over their cash? Is the Genos value for money? As soon as you sit at the product, see it, feel it, and play it, it's all very impressive. Using the easiest method of picking a style and using a One Touch Setting (OTS), if you had any doubts - they will very quickly disappear. Ultimately this is what will happen, it's the most basic thing and the main reason to buy it - You WILL sound better - You WILL love sitting at it and playing it. Even more than you already do. You will love the improvement in sound, styles and the entire 2500 one touch settings that have been improved - wow! Also the OTS's are now selectable from the screen which is easier. You'll love the way the screen works, you'll even love how the sliders, knobs and pitch bend work, not something you would have expected to be impressed with, but you will be. You'll love the favourites system of having your most used styles and sounds all on one easy to access page so you don't have to go routing around the different genres of styles and sounds. You had ensemble on Tyros 5 - maybe you liked it or maybe you didn't bother with it, whichever it is you WILL love the ensembles on Genos, just try them, instead of picking a regular sound just try the ensembles. They just work really well even if you just play with single finger in your right hand they sound great! So to sum up, forget any concerns you have, wait until you see it and play it, they will all disappear. For those of you who think its too expensive lets put this in to perspective, we've looked at what the Tyros 5 cost when it was launched in 2013 and remember that's 4 years ago! There really isn't a great deal of difference in the price that we/you are paying for it, yes its a bit more, but it is 4 years later. In fact according to our records its 249 more expensive than the Tyros 5 was in 2013, you could argue taking inflation into account its slightly lower than it should be in real terms. Finally remember with all the difficulties we all have to face in life, if you enjoy something, go for it, you never regret spending your money on quality goods that give you inspiration and so much satisfaction. Monday 16th October I travelled to Milton Keynes to spend a day with the Genos along with Yamaha specialists Paul Thirkettle and Ian House. This was to be my first time getting deeper into the Genos technology having already seen and experienced the product in Berlin a few weeks earlier. I can sum the result of the day up very easily here and I can distinctly say I have come back incredibly impressed with the product as a whole. 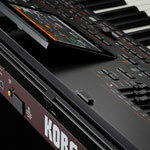 It offers everything you ever wanted from Tyros 5 but more and better quality, yet, it offers inspirational new sounds, styles and capabilities that really open up a whole new world of musical creativity and enjoyment. Every detail has been re-designed and thought about carefully, many years of development and research has gone into Genos, It even has built in WIFI so you can have a clock on your screen! The start of the day we had Ian House doing some example performances on the Genos through the Yamaha DXR12 speakers. Showing off new styles, One Touch Settings, audio link multi-pads and song performances, we got to hear a nice little selection of all genres. 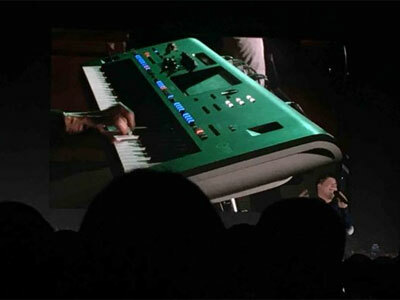 Normally we have not been overly impressed with Tyros instruments performing through PA and amplified speakers due to the way the output is handled by the product, but as the performances begun it was clear that this has changed. The new 32 bit DAC convertors doing their job to show off the instruments' sound. We heard brand new free play styles with amazing orchestral sounds from the new Kino strings sections, authentic 80s styles sounding just like the original with the classic 80's warmth, we had stand out big band styles with new super articulation! sounds with incredible brass and woodwind sections. It was truly enjoyable and set us up for the rest of what was to be a great day getting in to detail with Genos. Next in line was some hands on, getting to play with Genos as well as meetings regarding the new features and operational side of the product. The hands on was the real clarity that I needed and is the one thing I think people will need to do is to get their hands on one or get close in for a one on one demo. 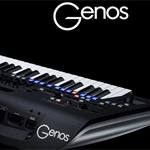 I need to make something very clear for tyros 5 owners, or in fact any tyros owner thinking of changing to Genos - it really does have everything you ever had in tyros and is in no way more complicated to use, in fact it has only become easier to use. So for example, I want to play some latin music, I can just tap the style on the screen, choose latin category and one of the new styles then turn on OTS and off I go. It is that simple and the result puts a smile your face! The new Revo! drums combined with the new sounds, effects and the totally re-made one touch settings take your music playing to a new level. Playing the same notes and chords, but sounding better then ever, I wonder how we did without it! I took a snoop around a whole host of sounds such as sax, pianos, guitars, strings etc to get a clear picture of the overall sounds. I can confirm all the new sounds are knockout quality and even the named sounds we already know are better than ever before. With the new memory capabilities, Yamaha have re-made all the voices in Genos with extra sample layers and new sampled instruments offering greater detail and better response; And you can hear it - especially through the new high quality output. Now despite how easy Genos is to use, there will be a small learning curve for people wanting to make use of the new features including the new Live Control sliders and knobs. A lot of customers may not want to use them thinking they have no use for their playing style or may even be afraid to try something new but let me tell you they totally open up the instrument and your creative capabilities in an instant. As an example - accessing volumes for style parts was a bit of a faff on previous tyros models as you had to have the volumes along the bottom of the screen in order for the sliders to actually do anything at all. This meant being in a certain display where you probably didn't want to be! Not anymore, the sliders are user assignable as well as having preset options so you can instantly control or adjust the volume of the drummer for example or reduce some of the guitars in the backing by moving a single sider. It is that simple and makes all the difference to your performance. Of course they can be as simple and as complex as you want them to be as well. Take any sound from an instrument i.e. 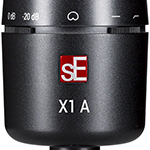 sax, the sound is enhanced and modified with the effects processing system which brings it to life. To change the tone, effects such as reverb are used and previously involved a lot of messing around to go through menus to play with it. But not with Genos, twist one dial, the sub-screen shows what you are adjusting and bang, your reverb is wherever you want it to be, your sound all of a sudden is bigger, better and your off playing new music with your new found tones. The dials can be assigned to modify multiple parts as well at once of which you have access to all such functions from the menus on the 9" screen. Add chorus to guitar in the blink of an eye, brighten up your piano voice and lots lots more all very quickly and easily. Each registration stores all your settings so its easy to recall your favourites settings with a single button press. On that side of things I thought I would investigate the effects system - and it is massive! No problem having multiple effects running on different parts. So if I wanted some delay and distortion on part one with totally different effects on part 2 for example, thats is no problem, and totally changes the sound capabilities of the instrument. It is rather astounding! The screen is huge, very very easy to see and very responsive. You can drag faders up and down the screen for example with ease. The text is very large and clear so there will be no issues for people seeing what the choices are. Menus along the bottom are customisable as are the 6 user assignable buttons to the right of the screen for quick access to menus for example along with an additional assignable button on the left of the keyboard. This makes it all very easy for each user to have access to what they want at the touch of a button. The new GNS speaker system looks superb, plugs in easier with a single cable to the sub woofer and even has a removable power cable so its not a pain to move around. The sound from the system is a nice improvement over the Tyros system. Clear high frequencies with great bass depth coverage, the overall sound is nicely separated. I do feel with the use of one of our Genos premium systems that the sound would benefit greatly to make an immense sound experience and really show off the instrument sound capabilities but the home pack speakers will be more than enough for most. I also want to clarify Yamaha Genos does not have Music Finder - now although this sounds a bad thing for a few people, don't worry it is a good thing and it is there in another, better form. The new playlist feature is incredibly useful and allows you to organise registration memories into any order and custom list you require. You can now make full use of registration banks properly and this is where the music finder change comes in. It is possible to import the music finder from Tyros 5 into Genos and it will make a playlist with all the music finder entries for you. Yes, this does mean it is making many registrations banks, but that does not matter anymore, as playlist will be your go to area for accessing and sorting banks. This brings new advantages over the old music finder The old music finder was a list of suggested song titles for the one touch settings. It did nothing more than choose a style and turn on the OTS button and thats it! The beauty of having a playlist as music finder means you can customise all your entires with new additional sounds and settings that you could not do before and organise them however you see fit! Playlist makes accessing and sorting your registrations better than ever before and is a vast improvement over any previous Tyros model. So what does it all mean! Well as I mention at the very beginning, this is a real change and vast improvement over Tyros 5. It is not Tyros 6, it is far better than just a model up, its far more advanced yet so simple to use - hence the name could not remain the same and it was time for a new generation of instrument. I think the Genos is very exciting, and getting hands on with an expert is the best way to learn and experience it and see what it is all about and exactly why you need one in your musical life! We are cautious of dramatic changes in instruments and the Genos looks very different. It's also being marketed in a very different way. Keith (one of our Genos genius) attended and he has come back buzzing, he understands our customers and what our customers needs are, he's been selling top of the range keyboards for 20 years. Yamaha have brought together modern technology (in particular the touch screen) and made a slick modern looking instrument that's even easier to use. Sound quality is amazing and there are some new features we are not allowed to mention... just yet! Sliders and knobs are always good to have on an instrument, for balancing style parts or sounds.For using as digital drawbars. Yamaha have added to the sliders with a row of control knobs that we'll be able to alter effects and reverb -on the fly. Real time controllers are great fun, dead easy to use and the result is instantaneous. Previously you had to go into menu's fiddle about, save, forget where you saved it to and so on. Touch screens are great because you press what you're looking at, the screen is massive!